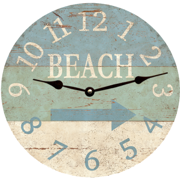 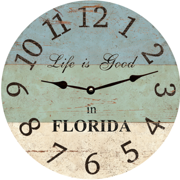 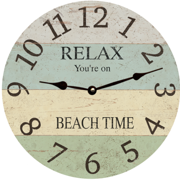 Our Vacation Clock selection features wall clocks with several vacation locations. 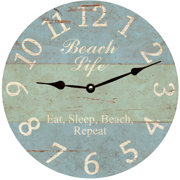 If you can't find your favorite location on this page you can vistit our Personalized Wall Clock selection and choose any wording you like. 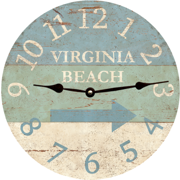 If you can't find your favorite Vacation location on this page don't worry!! We have a complete Personalized Clock Selection where you can add any wording you wish. 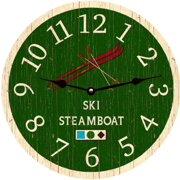 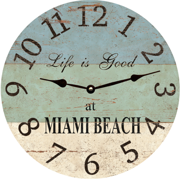 Click Here to view our complete PERSONALIZED CLOCK selection.